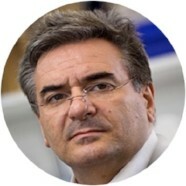 Luis Vitetta is Director of Medical Research at Medlab Clinical and Professor with the University of Sydney, Sydney Medical School. Between the years 2007 – 2013 he was the Director and Professor of the Centre for Integrative Clinical and Molecular Medicine at the University of Queensland, School of Medicine, based at the Princess Alexandra Hospital in Brisbane. Luis has research interests in the microbiome/nutrition/probiotics and immune function area, as well as research on cannabis medicines. 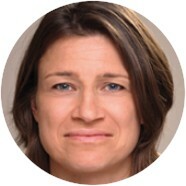 Director of Research at NIIM, with over 20 years’ experience in medical & public health research. Karin has a PhD & Masters Degree from the University of Heidelberg, Germany, Dept of Human Molecular Genetics. She holds an Honorary Adjunct A/Prof position at Bond University, Qld & is Honorary Visiting Research Fellow at the University of Adelaide, SA. Her research has been published widely and has featured on national media in Australia and overseas.